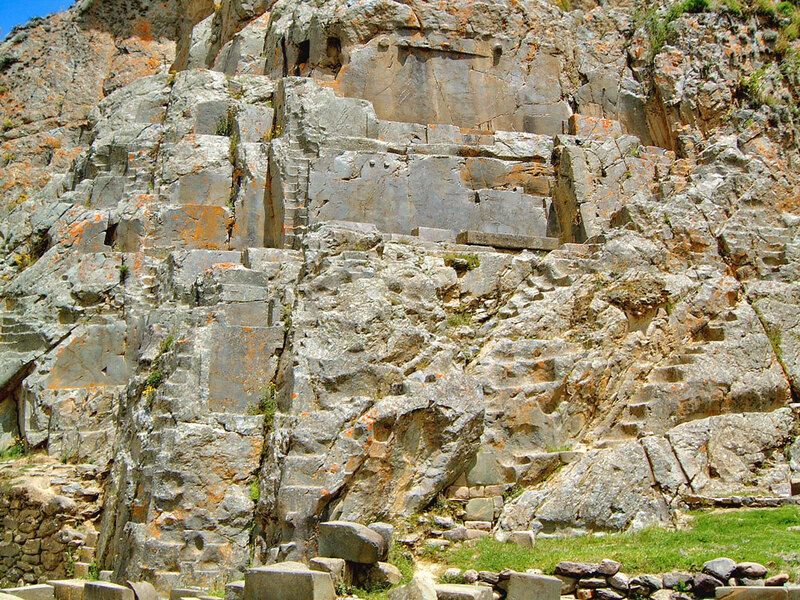 This bizarre carved wall could well have started out as a quarry, but it certainly seems to have been deliberately formed to provide some alternative. The neat stairway leading up on the right hand side and the circular protrusions higher up are certainly not a result of quarrying. Regardless of why it was created, the huge smooth surfaces are a complete mystery, for it appears the Inca cut though the andesite stone (one of the hardest rocks on earth) as though it were as soft as cheese. This inexplicable phenomenon has attracted much attention from psuedo-archaeologists and ancient alien theorists.